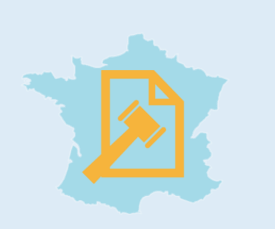 Posting of workers in France: increase of the administrative fine price. On September 5, 2018 Law No. 2018-771 on administrative penalties relating to the posting of workers in France was published. Any employer who has not issued a certificate of posting or who has not appointed a representative may be fined up to a maximum of 4,000 € per posted employee. In case of reiteration within two years from the date of notification of the first fine, a fine of up to € 8,000 may be applied. The total amount of the fine may not exceed € 500,000. For more information do not hesitate to consult the article L1264-3 of the Labor Code.